Combine sausage, parsley, onion, cinnamon and nutmeg; mix well. Divide sausage mixture into 4 portions; shape into patties. 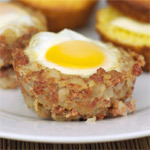 Place one egg atop each patty, shaping the sausage mixture around egg till completely covered. Roll each sausage-covered egg in breadcrumbs. Bake in a preheated 350 degree F. oven for 15-20 minutes until golden brown. 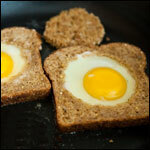 Scotch Eggs are a favorite hunting, fishing and tailgating breakfast in the Southern USA. They are portable and delicious. 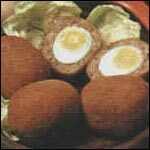 In Scotland where the dish originated, Scotch Eggs are especially popular at picnics where they are eaten cold. So fattening but so good! From Scotland. Hard-boiled eggs wrapped in sausage, coated in breadcrumbs and deep-fried. Great served hot or cold. Mr Breakfast would like to thank MrFrenchStewart for this recipe. 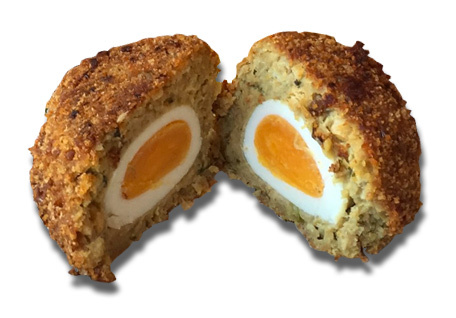 What do you think of Scotch Eggs? View all 45 comments for this recipe. To scotch something, you wrap it up completely. Therefore to scotch an egg, you wrap it up - in this case with some fine ground seasoned pork. Always great tasting and filling and did I mention they taste good? If you leave out the onion and nutmeg, these are a wonderful, once in a blue moon, special treat for travel for the humans and canines in your group. Only use as a full meal for dogs who already eat a variety of fresh, whole foods. Otherwise, a couple of small tastes will be appreciated, but make sure there is no onion or nutmeg in those for feeding to your dogs. My poor service dog is allergic to the world so I have to find a sausage with no pork, but then this recipe is good to go for both of us (deleting the onion & nutmeg, of course). 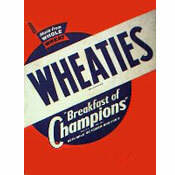 Cinnamon and nutmeg are not part of the old, original recipe. Does anyone know if there is a low carb version of this dish anywhere? It sounds great but I'm on the Atkins meal program so can't do the bread crumbs or white flour coating. I made these a few nights ago, they are amazing. I also made them with just eggs and sausage and that was amazing too. I had trouble telling when they were done. But they turned out very good. I had them with a horseradish dip like twindebbie suggested, very good. They are also delicious with spaghetti. 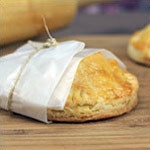 Serve them with whipped cream with horseradish folded in. They are divine! Scotch eggs are very tasty! If they we're so fattening, I'd eat them every day. This sounds very good to me. This recipe sounds really good. I like the way that Renard shared on cooking them as well. Scotch eggs are not from Scotland. They were invented in 1851 by Fortnum and Masons in London. When I make them I use seasoned Italian sausage. I make the patty, then I lay strips of bacon and shaved cheddar cheese. 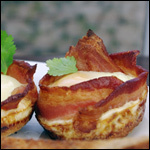 I carefully wrap the egg in this so the end result is: egg, surrounded by cheese, surrounded by bacon, surrounded by sausage. Dredge in egg then flour and fry. Delicious! I made these and they are a huge hit at hunting camp, where we eat them cold with some hot coffee before heading out to the cold, dark woods. I mixed grated fresh bread to the mixture instead of bread crumbs. It saves time and comes real golden brown. Thanks for the recipe. Gerald Neththasinghe of Sri Lanka. I tried this but found you don't need any spices, just the sausage meat. Very very easy to make, I used one kg of sausage to 12 eggs, but I also added 2 beaten eggs to the mix to help it stick to the egg. Thanks for the advice! LOL Wonder the name was a derogitory remark referring to the dangly bits under a Scotsman's kilt?